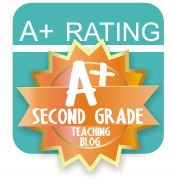 Freebie & Budding Bloggers Showcase: Second Grade is Out of This World! The Super Bowl Unit is still up for grabs for the person who can guess MY favorite NFL team (of the moment). Congrats to Lisa for guessing that the Falcons are my hubby's favorite team! Visit this post to leave your guess for a chance to win! Good luck! Today was my first day back from the holidays and can I just say that I'm exhausted!! 5:20am + new student + resolution-sticking-run & workout = one tired teacher! Luckily for me, I have fellow second-grade teacher, Hilary, here to blog with you today because I'm about to go climb into my jammies and watch some football in bed!! Read on to find out more and be sure to drop by her blog and leave her some love! Blog: Second Grade is Out of This World! 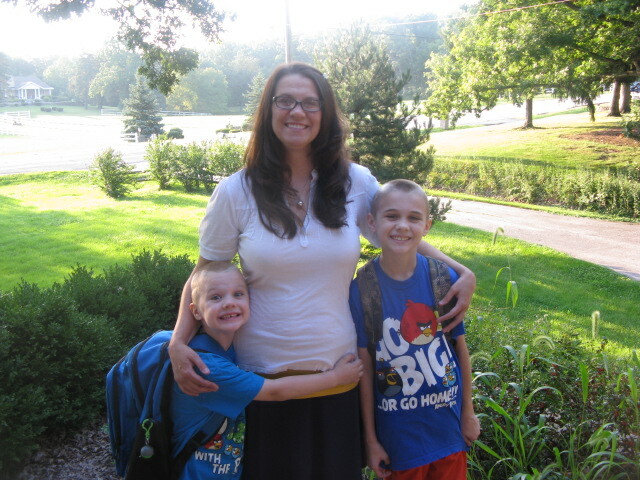 Personal info (state/family/pets/interests): I live and work in Indiana. I am extremely lucky to live 2 min. from the school that I teach in! 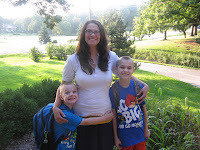 I am married to the most wonderful man in the universe and have 2 great boys who keep me busier than I dare to admit. 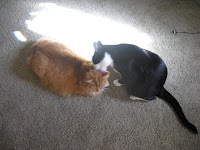 We have 4 cats and a dog who enrich our lives. I love doing paper crafts, reading, writing and blogging. Grade You Teach: I am currently teaching second grade and am in my 4th year. I am hoping to teach 2nd for the rest of my career. I taught a multi-age kindergarten and first for 2 years, 1st for a year, and then all day kindergarten (for "high-risk" students) for 5 years. I love second grade! How long have you taught? This is my twelfth year of teaching. I took a year off for each of my boys. What is your favorite subject to teach? Reading by far! I am a huge reader myself and I love to instill that love in my kiddos. I am a huge fan of the Sisters and got to meet them at a Professional Development workshop that they did here in Indiana! They were super nice and helpful! What would we likely see if we popped into your classroom unannounced? It really depends on the time of day, but kiddos working together (usually somewhere other than at their desks!) and me working with one or two somewhere in the room (probably not at my desk). If I could get rid of all of the desks in my classroom I would! What gets you through one of “those” days? The three C's! My colleagues, chocolate and coffee. I have a great teaching team and they help me through everything, good and bad. Chocolate and coffee (I think that those two can speak for themselves! What is one “can’t live without” teaching resource? This is a hard one. Probably the Internet! I spend a lot of time trying to make my teaching better. 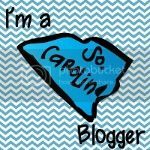 I find a lot of inspiration blog hopping! I also read a lot of teaching books. Which can be a problem because I can't read one without having to own it. I have an extensive professional library! Give us a glimpse of your teaching style by sharing a brief summary of a favorite classroom activity/project. I love my reading and writing workshop times. When all of the kiddos are scattered around the room doing their own thing, I can sit and conference with the kiddos one on one. That is when I feel like I am making a difference! 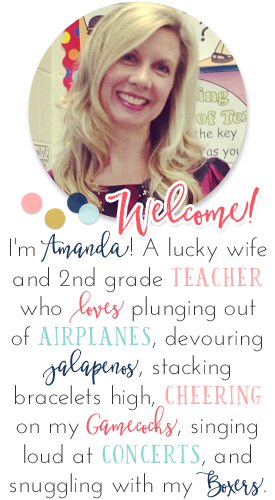 I also feel like I get to know the kiddos better! What is one of your blogging goals for this year? I am interested in learning and writing. I feel that blogging is a great way to do some of both! I have been keeping both a personal and teaching journal for years (personal 20 years, teaching 5 years) and I thought that doing it on-line might help me connect with other teachers who have the same passion for teaching that I have! Thank you so much for featuring me today! It looks great! I really appreciate your support! We start tomorrow, but I'm thankful that we ease back into the semester with two days of professional development. PD is mostly a joke at my school, but at least we don't start until 8:30 (as opposed to 6:45 normally). Hope the rest of your week is smooth to transition you back to the grind! I live in Germany, called Maxwell Brooks.